Pick up at 7: 30h and departure on a comfortable air-conditioned 4 WD towards Zagora passing by the Tizi-N-Tichka pass 2260m, continuation to join The kasbah of Tamdakhte and that of Ait Ben Haddou and then Ouarzazate where a tasty lunch will be served. After the Berber breakfast, take the dromedaries for a ride of one hour in the morning before taking the private 4x4 and leave at the extreme south by the former trail of the former Caravans then by a sandy track before arriving at L'Oasis of Maiht Assoullah for lunch then continuation towards the big dunes of Chegaga, you will have time to climb on the big dunes and to make a small walk before resuming the track towards the dunes of the Erg lihoudi with a break in the A sacred oasis to refresh itself from the spring. 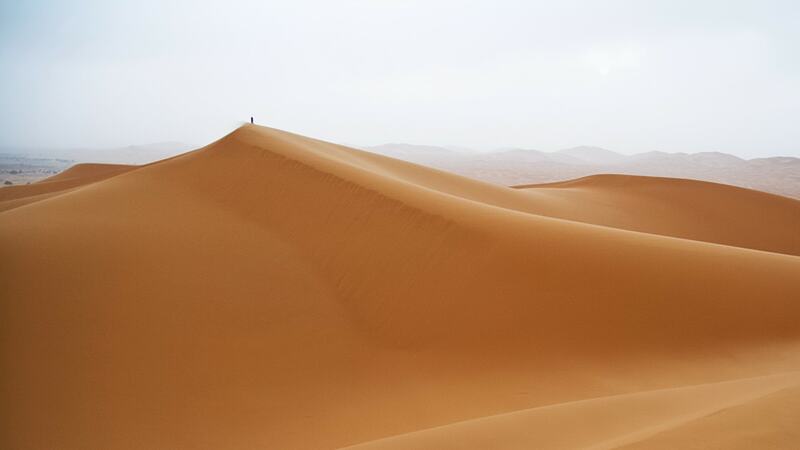 Arrival at the Bivouac, after a dromedary ride, you will admire a magnificent sunset on the dunes, distribution of Berber tents, dinner and night under tents or under the stars and early evening, typical delicious meal, fire Of camp, tea around the fire. After breakfast, return to Zagora and departure for Marrakech through the Drâa valley. Stop at Agdez, visit the Tamnougalt kasbah and then continue to Ouarzazate via Tizi N'Tififift, lunch en route, then departure for Marrakech via Tizi N'Tichka.